Let’s face it. Most of us could afford to learn a thing or two. 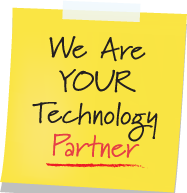 At Vantage Point, we’re committed to bringing you the educational resources you need to master your business technology. Read. Learn. Thank us later. Don’t see what you need? Or don’t know what you need? You’re still in the right place to reach us.